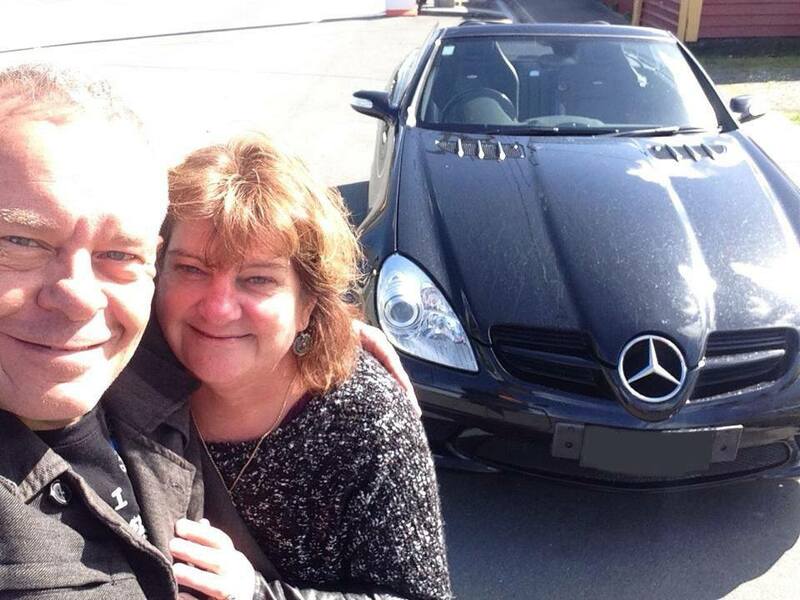 How did the new National President get to own a Mercedes-Benz? So how did we get to own our two Mercedes-Benz? Not a long story but some may relate. Five years ago my darling husband was going through a small midlife crisis. Hair was starting to grey, bored with his job, kids more or less independent, and to make that one worse our beloved daughter had given her heart to another man (now her husband). So instead of doing the old cliché – he did not go find a blonde 20 year old driving a convertible to boost his ego – Daryl decided that I needed to get rid of the practical sedan, taxi for the kids, and get the convertible I had always desired. I came up with all the practical reason to keep the Mitsi but he was adamant. How sad for me. So the following weekend we went off to test drive a teal Masda MX 5. No way is all I could say. Not only did I have to get out of the car to take the roof off and store in the boot, but I could not reach the clutch comfortably unless I was pressed against the steering wheel. Not cool enough for me nor the husband. 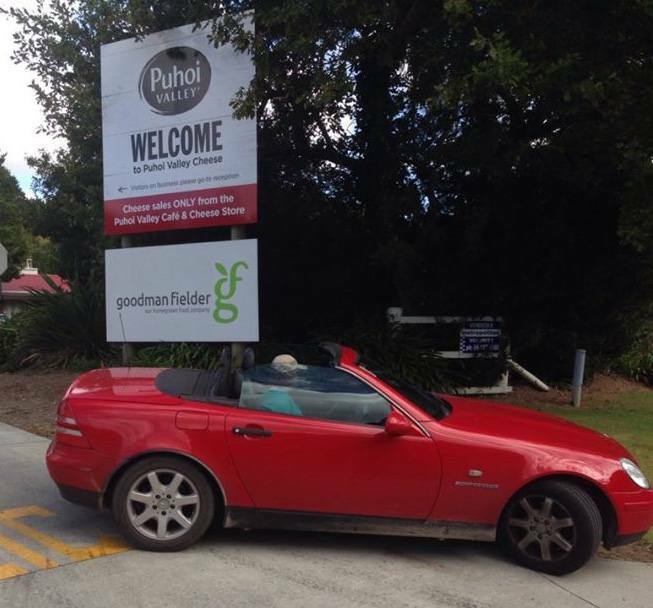 Next weekend I discovered that we had an appointment to view a little red SLK 230. Looking at the photos I thought yeah a possibility. Daryl drove the car away from the current owner with a look of glee on his face. I was still dubious. Swap drivers, go down the motorway for five minutes and yes the car was sold. Loved it the moment I put my foot on the accelerator. Big bonus, the roof went up and down with a push of a button and she was red. We had so much fun in that car and the husband started smiling again. Nine months down the track and we were due to go on holiday for two weeks in Australia. 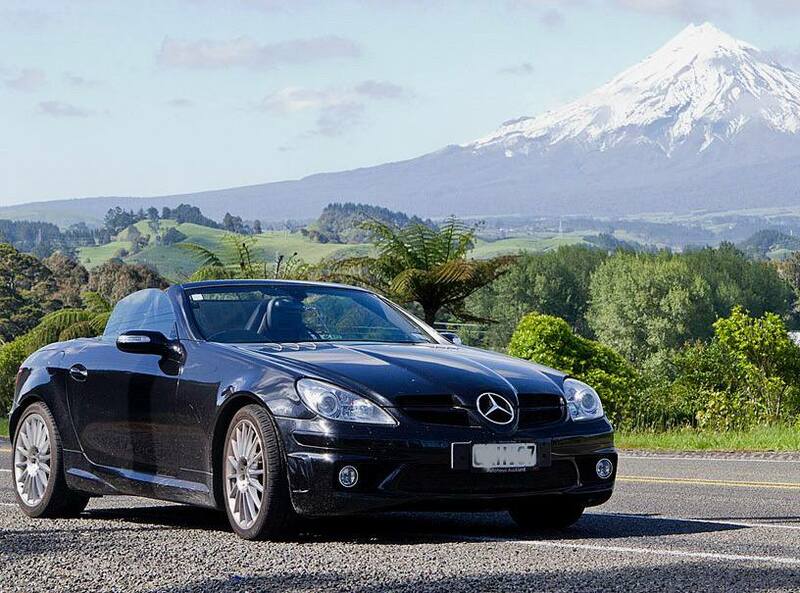 The husband starts bugging me about this SLK55 for sale. I tell him that if it is there when we get back then I will take a look. No way was I giving up my little red car. I loved it. However I had made that decision way to fast. This time it took two minutes and I desperately needed this little black car. The shape was delightful, the motor hummed and man could it move. One bank cheque delivered the next day and she was all mine, or ours. My little red car was sold to a Wellingtonian and yes I did cry as she left our driveway. As Daryl takes public transport to work I get to drive the SLK 55. Peoples reaction to a mid-50s lady driving this power machine has kept us entertained. I have had a group of young teens surround me yelling “cool car Miss”, a security guard outside the bank ask me about the motor (what would I know) and an elderly gentleman from our local rest home ask if he could come for a drive. And my biggest achievement? Thrashing the husband and certain other gentlemen in the Auckland club at this years gymkhana. Go ME!